Streaming video and audio, eBooks, premium databases, online newspaper and magazine subscriptions and more -- all free with your ELPL Library Card. 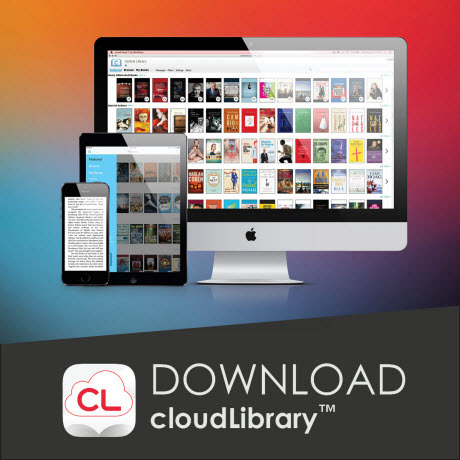 New eBooks and eAudiobooks in the cloud. These will hit the cloudLibrary shelves in the next few weeks and months. Place your holds now! Great new titles to keep you sane and inside until Spring arrives. Place your holds before these titles hit the virtual shelves. New titles to delight your ears, plus fresh copies of Tolkien's Middle Earth novels. Fresh titles in the cloud. The last new list of the year. There's a little bit of everything here, enjoy! Holiday and Winter Read Along books and their non-read along counterparts available on Hoopla. A CRISPR based thriller ripped from the headlines, some new to ELPL titles, and we even threw in some new eAudiobooks. Enjoy! Big titles coming out in the next few months. Place your holds now and have one less thing to remember to do later. Download eBooks and eAudiobooks without ever leaving your house, 'cause it's cold out there. If you love soundtracks, hoopla is a treasure trove of both new and old albums. Also on this list, video game soundtracks! Michelle Obama, Janet Evanovich and George R.R. Martin, just to name a few. A little bit of something for everyone. Standouts include the 13th Diary of a Wimpy Kid, Anne Lamott on audio, and end of the year romance. I need some help troubleshooting my Cloud Library account. How long can I check out titles from the Cloud Library? How many titles can I check out from the Cloud Library?